By golly, Jim! All the Star Trek in one handy location! Posted: Sat Jan 16, 2016 5:28 am Post subject: By golly, Jim! All the Star Trek in one handy location! We have quite a few Trekkies who frequent our store and we decided to make it even easier for you! 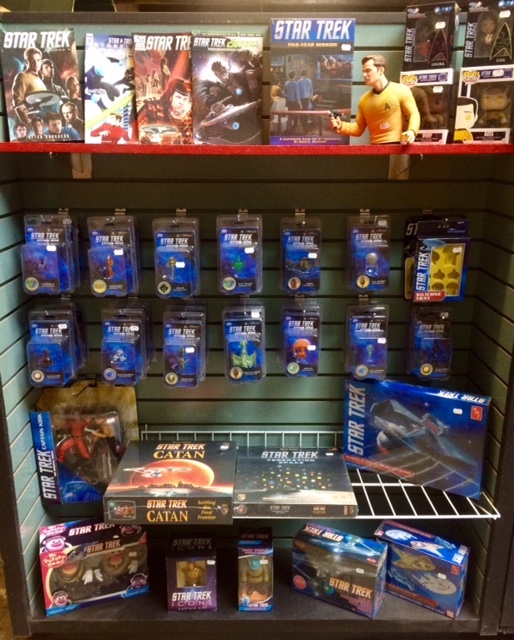 Whether it's comics, Funko Pops, model replicas, the Attack Wing miniatures game, Star Trek board game crossovers, or other fun memorabilia, it's all here in one easy location at the front of the store. Check it out today!